Vezi Acum Miraculous: Tales of Ladybug & Cat Noir S01E10 - Dark Cupid Online Subtitrat in romana calitate HD. 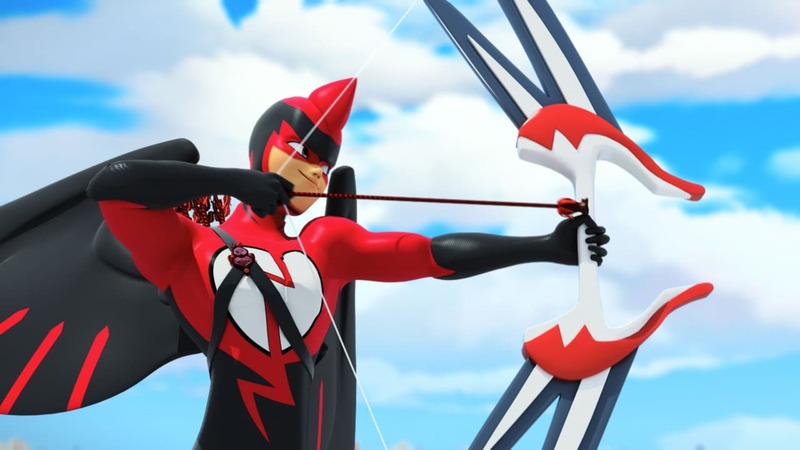 Miraculous: Tales of Ladybug & Cat Noir S01E10 - Dark Cupid este un episod lansat pe 29 octombrie 2015 super! Vezi acum online gratuit! It's Valentine's Day and love is in the air! After reading a love poem thrown away by Adrien, Marinette comes to the conclusion that the poem is about her, making her ecstatic. Meanwhile one of her classmates, Kim, is planning to ask his crush to be his Valentine. Marinette, in her love-sick daze, encourages Kim to go for it. When Kim sees his crush, he is humiliated and rejected cruelly. Heartbroken, Kim is influenced by Hawk Moth and turns into 'Dark Cupid', a villain whose arrows can replace true love and friendship with pure hate and mean-spiritedness. Distribuie sau scrie parerea ta despre episodul Miraculous: Tales of Ladybug & Cat Noir S01E10 - Dark Cupid.